Sponsored post. This guide to Holiday Attire Ideas for the 2018 Season has been generously sponsored by Walmart. Affiliate links are also used in this post. Prices accurate at time of publication, but may change depending on sale pricing fluctuations. 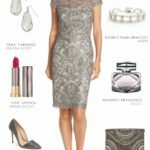 This guide to holiday dressing, is filled with ideas for what to wear to holiday events with pieces we found at Walmart.com! 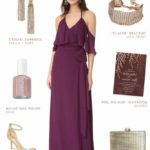 If you haven’t previously thought of Walmart as a special occasion fashion destination, I think you’ll be ready to reconsider that notion when you see the holiday looks I have for you today! Shopping details for each outfit in the post below. You probably already know that you can find so many holiday season essentials like gifts, stocking stuffers, housewares, food, and holiday decor at Walmart, but did you know that the selection online includes holiday outfits and dresses galore? Walmart has fantastic holiday looks from super-casual to red-carpet ready. 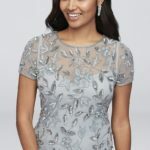 Whether your personal holiday style goal is a new pair of cozy pajamas, an eye-catching new outfit for family photos, a cute top to wear for celebrating with friends, or a formal ballgown, you will be able to find the perfect look at Walmart ! Walmart has recently partnered with some amazing new brands, and made their website easier to shop! Walmart now has two main shopping sections; their well-known Everyday brands, and the new Premium offerings from their partnership with Lord & Taylor. Walmart’s Everyday section has every day low prices and is full of affordable, high-quality winter style options. If your events require more luxury, you’ll love the pieces found in the Walmart premium brands from Lord & Taylor. In fact, the Lord & Taylor Friends and Family Sale is on now through 12/13/18, so it’s a great time to get these looks with 30% off when you shop Lord & Taylor through the Walmart premium shop. My first holiday look is this gorgeous green velvet style, which includes a few sale pieces! All Items from Walmart.com and Walmart.com Premium Shop from Lord & Taylor. Dress: Green Velvet Off the Shoulder Sheath Dress by Vince Camuto | Earrings: Linked Cluster Teardrop Earrings from Design Lab | Bracelet: 14k Yellow Gold White Cultured Freshwater Pearl and Bead Bracelet, 7.5 | Clutch: Gunne Sax by Jessica McClintock Alexandra Metal Mesh Clutch | Shoes: Womens Open-toe Pump by Brinley & Co. This green velvet dress is such a complete classic. 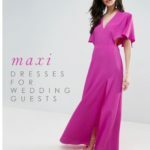 It’s perfect for a semi-formal event, hot holiday date, cocktail party, winter wedding, or an upscale holiday office party! The best part is how affordable the whole look is. The dress is under $40 with the Lord & Taylor Friends and Family Sale! High-low dressing is my personal approach to the holidays! It’s simply mixing high-end or luxe pieces with some other wardrobe staples that maybe didn’t cost so much or aren’t as flashy. Mixing core pieces from the everyday brands Walmart carries, with the premium brands from Lord & Taylor is a great way to do this! For instance, try putting a piece of fine jewelry as a gorgeous statement with a simple black shirt, or adding an inexpensive clutch to wear with a high quality top know you’ll wear again, or dressing up a designer gown with costume jewelry that didn’t break the bank. The ‘low’ finds are also great way to experiment with trends or styles you aren’t quite sure of yet before making a big investment. I am tempted to try these culotte pants for $15, or this cute striped sweater dress. Here are a few more holiday looks to love, that show the high/low approach. 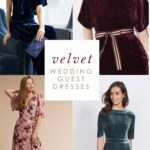 I clearly love velvet for the holidays, but if a dress isn’t your style, try this red velvet jumpsuit! I love that the flare legs and flounce top give it a slightly retro look, so I added to that 70s style with block heels, and an embellished clutch. This is also the epitome of mixing high-low pieces, that velvet jumpsuit is perfectly priced at $59, but that fantastic clutch is a true steal – at under $8! 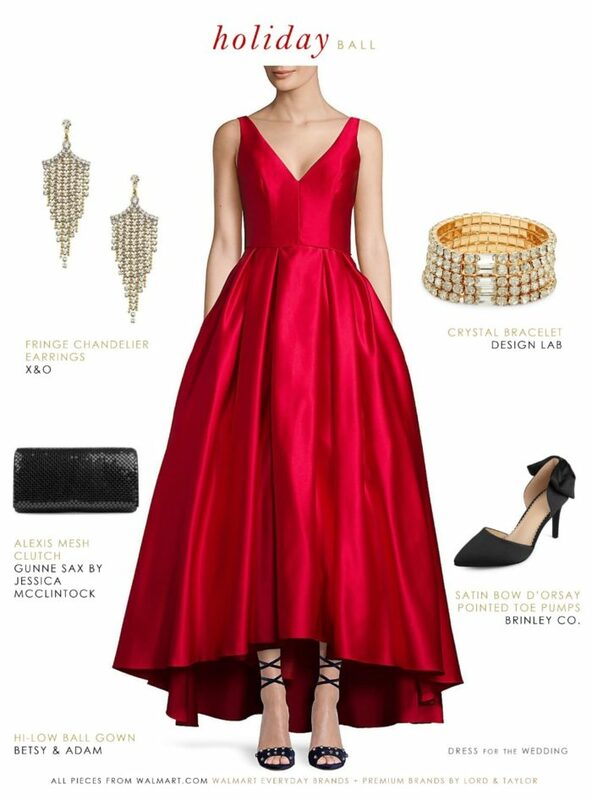 Is there anything more glamorous than a ball gown for the holidays? Done in this bright red satin, it’s a grand style for anyone invited to a black tie event or formal ball. The best part, the gown is on sale and now under $110. This dress hem is called “hi-low” because it’s short in the front and long in the back, but it’s actually also the high style element in this outfit. I styled it with some low-priced pieces like that affordable clutch, those fashion jewelry pieces, and cute bow heels that only look expensive! 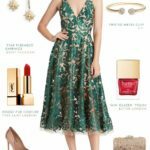 Holiday Outfits for Every Winter Event! 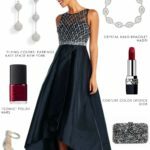 While I always love to share looks for special occasion dressing, not every holiday event is black tie, or even dressy. 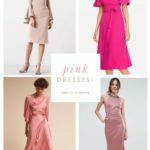 In fact, maybe you are looking for something to wear for decorating the tree, opening presents, hosting a casual party or cookie swap, or just feeling festive during this season. For those times, I love pieces like these! All Items from Walmart.com and Walmart Premium Brands from Lord & Taylor. Just add any one of these to basics you may have for an instant celebration! For more winter looks, check out the label Maurices which just launched last month at Walmart, which is full of cozy chic styles. Hopefully, this has made quick work of figuring out what to wear for the holidays. Walmart has free shipping on orders over $35, and the option to pick up for free in store, so getting any of these looks you love is easy. Later this week, I’ll be tackling what to wear to winter weddings with Walmart. Until then, check our other recent posts with Walmart where we featured their gorgeous engagement rings and wedding bands! Sponsored post. 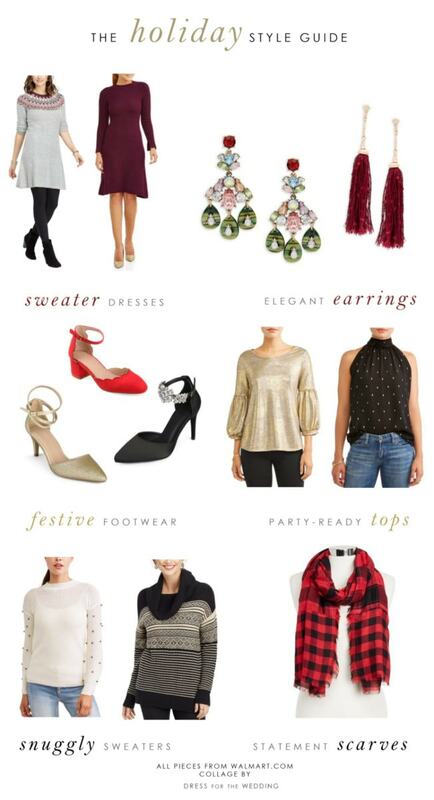 This guide to holiday dressing has been generously sponsored by Walmart. Affiliate links are also used in this post.